David Cairns is Labour MP for Inverclyde. John Hayes is Conservative MP for South Holland and The Deepings. Together they will be sponsoring AmericaInTheWorld.com's work in the UK Parliament. As the eyes of the world focus on a new President, here in Britain, with political fortunes in a state of flux, thoughts are bound to turn to the future of the special relationship. How will a British Government of a different political flavour interact with an Obama Presidency? How might a future partnership compare or contrast with those forged by Blair and Bush or Thatcher and Reagan? Yet a full appreciation of the intimacy between Britain and America requires enquiry far beyond the style, or even the substance, of political personalities, because the bonds are much less ephemeral. The deep rooted cultural and social ties that bind the United Kingdom and the United States are at least as important as geo-politics, both because they endure and make the special relationship tangible to ordinary people. Political affairs are, by their nature, driven by utility, whereas America and Britain enjoy a true love, full of all the attendant passion, trauma and occasional tiff. The connection is secured by our closely related versions of the same language! That in part explains why Britain remains the top overseas destination for travelling Americans, in spite of a – until recently - unfavourable exchange rate. Every year visiting American students arrive in Britain in awe of our history and traditions, the fact that they arrive as starry eyed as they are keen to learn about parliament and the crown, is unsurprising. – it’s what we know about the American view of us. But their love is far from unrequited - for most of the last century Britain has been enthralled by what’s happened across the Atlantic. Just as their students are keen to learn as much as they can about our country, we have a great deal to learn from theirs, though the economist has recently pointed out a somewhat worrying drop in the numbers of British student opting for American Studies, a temporary dip we hope. America’ cultural influence on us - made accessible by shared spoken and written English - is indisputable. However, its efficacy is contested by anti Americans who, pointing up the pervasive blandness of McDonalds and Starbucks et al, parody our cousin’s culture as superficial and monochrome. What a pity that those that know The States well too rarely point out that these kind of big businesses are far from all that characterises the American way of life. False expectations are defined by a skewed view of modernity. What America knows, and Britain must learn is that the future is not about uniformity. While past advances in technology resulted in standardisation through mass-production, advances today highlight the importance of difference; the ability to respond to the particular demands of individuals and communities. These changes mean that what are often seen in Britain as outdated concepts of service are sure to become increasingly salient. Centralised systems in both politics and commerce will prove too slow, too unbending to respond to these changes. Far from inhibiting responsiveness, diversity facilitates it. Britons, who have spent time in America - particularly beyond the big cities - know that commercial ubiquity is not what modern America is really about. Any visitor is surely struck by the civility, sense of civic pride and standard of service in shops and restaurants. It is certainly a nation fuelled by hope- think of the speeches of Reagan, Bush or Obama – and driven by an optimistic creative energy typified by Hollywood. In anti American fiction the States is brutal, but in fact, in the first President Bush’s words, it’s ‘a kinder, gentler place’ than many first time visitors expect. How curious then that to we British much of America seems quaintly eclectic, precisely what they say they find most attractive about us. Perhaps this irony is what makes the relationship so special? Joseph Loconte is a senior fellow at Pepperdine University's School of Public Policy, where he writes widely about the role of religion in promoting democracy, human rights, and social justice. He is the editor of "The End of Illusions: Religious Leaders Confront Hitler's Gathering Storm." Senator Obama’s new favorite pastor is Reinhold Niebuhr, a public intellectual who began his career in the 1920s as a social-gospel minister and pacifist—but became a democratic hawk as his leftist dreams collided with the demonic realities of the Third Reich. No religious leader, in fact, offered more withering criticism of the naïve politics of modern liberalism that had infected American public life in the build-up to the Second World War. What, exactly, does Senator Obama find so appealing about Reinhold Niebuhr? Niebuhr’s legacy has been extolled by the political left in recent years because of his “Christian realism,” a public theology that rejected the “utopian illusions” of well-intended politicians. In works such as The Irony of American History—reprinted in paperback this year with Obama’s book-jacket endorsement—Niebuhr denied that America’s democratic idealism allows the United States to fully escape the compromises and corruptions that attend the exercise of power. Many have seized on his analysis as the remedy for American “arrogance” and “imperialism” under the Bush administration. It is true that Niebuhr offered a searching critique of the vices and temptations to hubris that tend to afflict American democracy. The United States is not always on the side of the angels. Yet Niebuhr’s liberal admirers, Senator Obama included, neglect the fact that he excoriated those who refused to make sharp moral distinctions between flawed democracies and soul-destroying tyrannies. The left-leaning base of the Democratic Party, for example, regards U.S. military efforts in Iraq and Afghanistan no differently than the sadistic butchery of Osama bin Laden: One man’s freedom fighter is another man’s terrorist. Barack Obama’s campaign offers the proposition that his idealism will somehow allow the United States to transcend these difficult decisions, that he will “restore America’s image in the world.” His foreign policy advisors sometimes talk as if U.N.-style diplomacy and “multilateralism” hold the promise of a global harmonic convergence. 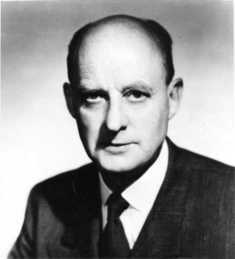 Reinhold Niebuhr might reply that the diplomatic delusions of the “international community” pose the greatest threat to peace and security. Unlike his liberal colleagues, he quickly recognized the supreme malevolence of the two great totalitarian forces of the 20th century, German fascism and Soviet communism. While others cried out for peace conferences and economic summits to assuage Hitler’s demands, Niebuhr called for a coalition of the willing to defeat him. “If anyone believes that the peace of such a tyranny is morally more tolerable than war,” he wrote after the Battle for Britain, “I can only admire and pity the resolute dogmatism which makes such convictions possible.” Likewise, throughout the Cold War, few thinkers defended America’s democratic institutions against the “noxious virulence” of communism with more vigor or moral clarity. The deepest source of Niebuhr’s political realism was a religious belief: a profound sense of the tragedy of human nature. He labored relentlessly—some would say obsessively—to apply the doctrine of original sin to international politics. Senator Obama, in an interview with New York Times columnist David Brooks, praised Niebuhr for “the compelling idea that there’s serious evil in the world.” But the evidence is strong that Obama endorses a chronic liberal fallacy: that “economic injustice” and “political institutions” are the root causes of poverty, social conflict, and aggression. Of all the risks of an Obama presidency, this false hope may be the one closest at hand. Jennifer Marshall is Director of Domestic Policy Studies at The Heritage Foundation, overseeing research into education, marriage, family, religion and civil society. She is the author of Now and Not Yet: Making Sense of Single Life in the Twenty-First Century (2007). J D Foster and David John contributed to this piece. Welfare reform is one of the most successful social policy reforms in American history. It transformed a system that rewarded idleness and encouraged permanent and inter-generational dependency on government into one that helps welfare recipients move toward self-sufficiency through work and stable family formation. In 1996, President Bill Clinton signed The Personal Responsibility and Work Opportunity Reconciliation Act of 1996. The law replaced a part of the federal welfare system, the failed program Aid to Families with Dependent Children (AFDC), with a program that had a new philosophy: it was called Temporary Assistance to Needy Families (TANF). During the 1980s the Reagan administration had urged Congress to establish work requirements for welfare recipients. While effective “workfare” policies were not enacted at the time, the terms of the debate were changed. The state of Wisconsin became the proving ground for these ideas in the early 1990s as Governor Tommy Thompson enacted a series of dramatically successful workfare-related reforms. As caseloads increased across the nation, Wisconsin’s rolls were cut in half during the decade prior to federal reform. The 1996 federal law aimed to reduce welfare dependence and to increase employment; to reduce child poverty; to reduce unwed childbearing and to strengthen marriage. A decade later, one and a half million fewer children lived in poverty and black child poverty had reached its lowest level in US history. The rapid growth in the rate of unwed childbearing dramatically slowed. Welfare caseloads declined by 57 percent - after rising steadily since the launch of AFDC in 1965. Welfare reform worked because it identified behavioral patterns, rather than material poverty, as the source of chronic dependence on government services. The typical American household defined as poor by the US government has more living space than the average European, air conditioning, a car, and a color television, among other amenities. On the other hand, the typical poor household with children logs only about 800 hours of work annually, which is equal to just 16 hours per week. Work requirements that aim to increase that rate to full-time, or 40 hours per week, could lift nearly three out of four children from poverty. Child poverty is also associated with the absence of marriage and fathers. About two out of three poor children live in single-parent homes. Encouraging marriage and stable family formation would help reduce this rate: if poor single mothers married the fathers of their children, almost 75 percent could escape poverty. America’s welfare reform has attracted attention in a number of countries around the world. For example, the Netherlands implemented policy in 2003 emphasizing welfare-to-work, with subsequent reductions in caseloads, and German communities have piloted welfare-to-work programs in recent years. In 1990, a Time magazine cover article lamented "The Decline of New York." Drugs and crime were rampant, and city officials seemed unable to stop their spread. The article warned that the exodus of residents deeming the city unlivable might "become a flood if the fear of crime" continued to grow. A decade later, the city had been transformed by a policing strategy that has become a model for other cities in the U.S. and elsewhere. Often referred to as “broken windows” policing, the strategy was implemented during the 1990s by New York City police commissioner William Bratton and Mayor Rudy Giuliani. 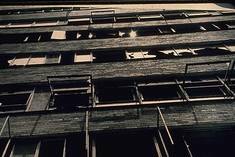 A broken window left unrepaired communicates that no one cares, observed George L. Kelling and James Q. Wilson in a 1982 Atlantic Monthly article. Similarly, minor offenses unaddressed make major ones more likely. “Obviously murder and graffiti are two vastly different crimes,” Mayor Giuliani said in 1998. “But they are part of the same continuum, and a climate that tolerates one is more likely to tolerate the other.” Disorder produces fear among citizens, undermining community controls and resulting in an environment conducive to crime," explain Kelling and Bratton. In New York, Bratton reoriented policing strategy and administration to focus on communities. Resources and accountability were devolved to the city’s 76 local precinct commanders, who were charged with identifying and solving neighborhood problems to reduce crime. By cracking down on minor offenses like graffiti or vandalism, the plan focused on restoring order, rebuilding community, and preventing serious crime. Increased order, as predicted, did lead to decreased crime—in fact, an unprecedented plunge. Robbery declined by 60 percent. Murder fell by more than 70 percent: in 1990, there were 2,262 murders in New York, compared to 629 in 1998. While the 1990s saw a reduction in crime nationwide, New York dramatically outpaced the rest of the United States. Property crimes declined 65 percent in New York City, compared to 26 percent across the U.S., while violent crime fell by twice the nationwide rate. In all, 'broken windows' policing helped prevent an estimated 60,000 violent crimes during the decade following its implementation, according to a study by the Manhattan Institute. New York’s policing strategy is spreading. In 2002, Bratton was appointed chief of police in Los Angeles, where he implemented a similar strategy. Three years later, overall crime was down by 26 percent, and homicide by 25 percent. Meanwhile, locations like Hartlepool, England are applying the strategy. In 2003, President George W. Bush pledged $15 billion over five years to stop the spread of generalized AIDS epidemics in Africa and the Caribbean, “the largest commitment by any nation to combat a single disease in human history." The President's Emergency Plan for AIDS Relief (PEPFAR) has been widely praised for its achievements: as of 2008, PEPFAR is treating 1.73 million and providing care for more than 2.7 million orphans and vulnerable children. Ten million pregnant women have been tested and an estimated 157,000 infections of newborns have been prevented. Ambitious targets are one key to PEPFAR’s successful track record. Two other critical factors are the law’s evidence-based prevention strategy and funding policies that keep the program focused on priority services. Evidence from Uganda in the 1990s had shown remarkable drops in the rate of new HIV infections following advertising campaigns that encouraged abstinence for those who were not married and fidelity for those who were married. 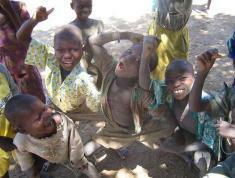 Between 1991 and 2001, HIV prevalence dropped 71 percent, and even more dramatically among those aged 15–24. Researchers from Cambridge University attributed the decline to the campaign to change sexual behavior by encouraging marital fidelity and abstinence. PEPFAR required that a majority of funds go directly to programs in the target countries, rather than through multilateral programs. This direct aid ensured that assistance was provided efficiently and effectively in accord with the law’s strategic purposes. PEPFAR also required that funding be spent in proportion to its policy priorities, including 55 percent on medical treatment, and a third of the prevention funds on promoting abstinence and marital fidelity. PEPFAR’s emphasis on abstinence and fidelity programs is now credited for its measurable impact on HIV prevalence, an important precedent for combating generalized AIDS epidemics. In his final State of the Union Address, President George W. Bush urged Congress to expand PEPFAR. The 2008 reauthorization expanded the program to $50 billion over five years. New goals include providing treatment for at least 3 million, preventing 12 million new infections, and supporting care for 12 million, including 5 million orphans and vulnerable children. The Reagan administration’s tax and monetary policy had enormous effects around the globe. President Reagan changed the trajectory of the worldwide debate about taxes and his tax reforms impressed upon the world the importance of low taxes. 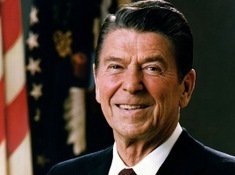 President Reagan significantly reduced taxes, cutting the top rate down from 70 percent to 28 percent. The reforms created incentives for individuals to save and for businesses to invest, and indexed income tax brackets to inflation. Following the 1981 tax cuts and the 1986 tax reform, other countries had little choice but to lower tax rates to compete for capital and labor in the global marketplace. The years following the 1986 tax reform act saw a steady trend among countries large and small, developed and developing, to reduce tax rates to become more competitive. In fact, this global trend continues in much of the world, especially with respect to the corporate income tax rate, with the notable exception of the United States. The United States also recast the central goal and practical conduct of domestic monetary policy worldwide. President Reagan supported the Federal Reserve in recognizing that inflation is ultimately a monetary phenomenon to be contained by a vigilant and independent central bank. By adopting a policy focusing on the growth of the money supply the Federal Reserve ended the upward spiral of U.S. inflation that threatened to become entrenched well above 10 percent annually, and began a decade-long process of disinflation. While the mechanics of monetary policy have continued to evolve as financial markets and the economy itself changes, the essentials of the 1980s lessons remain constant. Consequently, despite soaring energy and food costs the United States has retained levels of inflation lower than what was thought possible even in fortuitous circumstances a decade ago. Learning from the U.S. experience, even countries that traditionally have suffered spasms of high inflation are able to maintain low and stable inflation rates and the expectation among investors and families that future inflation rates will remain low. A looming retirement security crisis facing the United States is prompting a bipartisan interest in strengthening pensions and increasing savings. The tax-financed US Social Security system will be unable to pay all of the benefits that it promises, and even if it could, benefits are not high enough to provide full retirement security. In addition, traditional pensions are being phased out as employers recognize that they will cost more than anticipated and replaced with low-cost, diversified retirement savings plans such as the employer-sponsored 401(k) accounts and individually managed Independent Retirement Accounts (IRAs). These accounts will provide workers who make regular contributions to them throughout their careers with significant retirement security. However, two serious problems remained. First, those who need to save the most, lower-income workers, women, minority groups, and younger workers tended not to participate in these plans, mainly because they were unfamiliar with investing and feared losing their money through a bad investment choice. In response, researchers developed “automatic enrollment”, under which a worker participates and saves a certain proportion of income in a pre-selected investment vehicle. The worker has the full ability to refuse to join a savings plan and to change either the amount saved or the investment choice. Under automatic enrollment, participation by these four groups has gone from between 18 and 15 percent to well over 80 percent. Workers almost unanimously approve of automatic enrollment and over 65 percent say that they started saving earlier than they would have otherwise. The Clinton Administration issued an executive ruling confirming the legality of auto-enrollment, and the 2006 Pension Protection Act further clarified details of the process. Most large employers have already adopted automatic enrollment, and the number of other employers who are adopting it is growing every day. In addition, the federal government is close to adopting the procedure for its employees. The second problem is that only about half of American workers work at a place that offers them an employer-sponsored retirement savings plan or pension. To make matters worse, only about 10 percent of these workers save for retirement on their own. In response, a bipartisan, cross-ideological consensus is building to establish “Automatic IRAs”, which feature direct payroll deposits of the workers’ own money into a low-cost, diversified IRA. Automatic IRAs have very low employer costs, and virtually no regulatory burden is placed on the employer. In surveys, over 80 percent of workers and employers agree that the Automatic IRA would help increase retirement savings. The Automatic IRA is expected to be considered in Congress during 2009, and is also under legislative consideration in a number of states. The UK is adopting automatic enrollment for its Personal Accounts retirement savings plan which debuts in 2012. Extensive US-UK consultations have taken place in the development process of both the UK Personal Accounts plan and the US Automatic IRA plan. The American presidency has been described as the most powerful political office in the world. Perhaps in no other Western democracy does the position of president occupy the singularly important role that it does in the United States. The head of the Executive Branch of government, defender of the Constitution, Commander in Chief of the Armed Forces—the American president assumes all of these roles and more. He serves as the living symbol of the nation’s democratic values. Though easily overlooked, some of America’s most beloved presidents have been men of deep religious conviction. They have shaped not only the national character, but also America’s image and influence before a watching world. 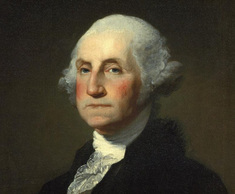 More than any other national leader, George Washington embodied the American ideal of republican government: a government of free people that could only be sustained by moral virtue and the willing consent of the governed. When a group of disaffected soldiers threatened civil disobedience, for example, Washington won them over with these words: “In the name of your common Country, as you value your own sacred honor, as you respect the rights of humanity, and as you regard the Military and National character of America,” do not “open the flood Gates of Civil discord, and deluge our rising Empire in blood.” After assuming office, members of the Newport Hebrew Congregation wrote to congratulate Washington. His response articulated the American principle of religious liberty with exceptional power. He reminded the Jewish assembly that the government of the United States “gives bigotry no sanction” and offered them this wish: “May the Children of the Stock of Abraham, who dwell in this land, continue to merit and enjoy the goodwill of the other inhabitants…while everyone shall sit in safety under his own vine and fig tree, and there shall be none to make him afraid.” After a brilliant military career that helped secure Independence, Washington could have been named King of America—and some hoped to make him so. But he would have none of it. He resigned his military commission, ran for president, and refused to serve more than two elected terms. “We now have a national character to establish,” he said, “and it is of the utmost importance to stamp favorable impressions upon it.” Though not without his faults, Washington raised a standard of presidential character that remains the American democratic ideal. A visit to the Lincoln Memorial in Washington, D.C. suggests something of the resolve, the solemnity, the grandeur, and the moral seriousness of Abraham Lincoln, the president who freed America’s slaves. 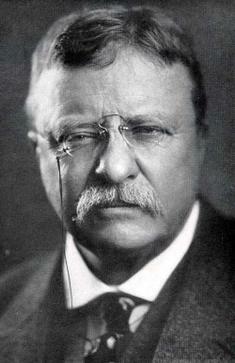 No leader believed more deeply in the universal appeal of American democracy, what he called “the last best hope of earth.” At the same time, no president faced the moral failings of the United States with greater sobriety (he issued numerous calls for “public humiliation, prayer, and fasting” and inaugurated the first day of national thanksgiving). Lincoln came to despise America’s besetting sin—slavery—both for its innate cruelty and its destructive influence on the national character. “I hate it because it deprives our republican example of its just influence in the world—and enables the enemies of free institutions, with plausibility, to taunt us as hypocrites—cause the real friends of freedom to doubt our sincerity.” Yet the abolition of slavery came at a terrible cost: a civil war that took the lives of 600,000 Americans. 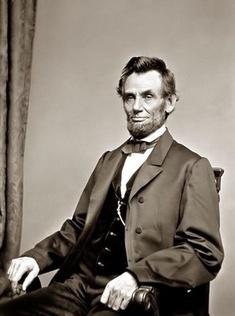 Lincoln led the nation through four of the bloodiest years in its history. Mindful of the hand of Providence and “the judgments of the Almighty,” he nevertheless opted for mercy and clemency for the defeated Southern Army. “With malice toward none; with charity for all; with firmness in the right as God gives us to see the right,” he implored, Americans must join together to “bind up the nations wounds” to achieve a “just and lasting peace, among ourselves, and with all nations.” Sometimes called “the redeemer president,” Lincoln simultaneously sustained a profound sense of divine justice and spiritual humility—and employed it to preserve America’s experiment in democratic freedom. 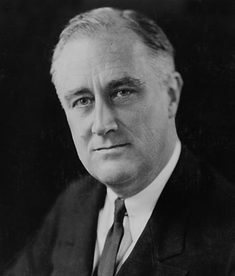 When Franklin D. Roosevelt became president in 1933, the nation was in the throes of the worst economic crisis of its history, the Great Depression. A quarter of the workforce was unemployed, banks were in freefall, and millions of people were cast into poverty and homelessness. Amid this chaos FDR created the New Deal—a vast expansion of government involvement in the economy to address social needs. With a Democratic Congress behind him, Roosevelt established a myriad of federal programs and agencies, from the Works Progress Administration to the Social Security Act. His policies not only transformed the Democratic Party, but permanently redefined the role of government vs. the private sector in the provision of social welfare. 1933 also was the year that Adolf Hitler rose to power in Nazi Germany. While Germany was rearming, the United States was slashing its military budget. FDR signed the 1935-36 Neutrality Acts, which cut off American aid to either side in a European war. In a 1936 re-election speech, Roosevelt reflected the isolationist mood when he vowed to keep the United States out of another European war: “We shun political commitments which might entangle us in foreign wars; we avoid connection with the political activities of the League of Nations…We are not isolationist except in so far as we seek to isolate ourselves completely from war.” It would take the Japanese attack at Pearl Harbor on December 7, 1941 to prompt Roosevelt to declare war on the Axis Powers and implement a radical war-time economy. 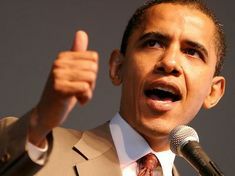 Once fully engaged, the American president became a tenacious and morally charged Commander-in-Chief. “We are fighting to cleanse the world of ancient evils, ancient ills,” he said. “There never has been—there never can be—successful compromise between good and evil.” By the time Roosevelt won an unprecedented third term as president, he had forged a close friendship with British Prime Minister Winston Churchill. The “special relationship” between the United States and Great Britain—based on their shared military sacrifice and democratic values—proved to be decisive in defeating the Axis states and rescuing Europe from the tyranny of fascism. Though John F. Kennedy is considered an icon of political liberalism, the hawkishness of his foreign policy—with its robust democracy agenda—would draw the ire of most contemporary U.S. Democratic leaders and British Labour Party MPs. In his inaugural address of January 1961, he affirmed the Jeffersonian belief that the “the rights of man come not from the generosity of the state, but from the hand of God." He vowed, not only to Americans, but to the world community, that “we shall pay any price, bear any burden, meet any hardship, support any friend, oppose any foe, in order to assure the survival and the success of liberty.” Kennedy meant business. His first interventionist scheme on behalf of democracy—the plan to help Cuban exiles overthrow communist dictator Fidel Castro—ended in failure and disgrace. Evidently emboldened by American weakness, the Soviet Union secretly began construction of a ballistic missile site in Cuba. Its discovery, and Kennedy’s decision to order a naval blockade of the island, brought the United States and the Soviet Union to the brink of nuclear war. Proclaiming his opposition to the spread of Communism, Kennedy stepped up political, economic, and military support for South Vietnam against the North Vietnamese regime of Ho Chi Minh. Under Kennedy’s watch, the number of U.S. military serving in the conflict jumped from 1,800 to over 16,000, setting the stage for the most divisive foreign war in American history. In June of 1963 JFK visited West Berlin and used the construction of the Berlin Wall—separating the communist East from the Democratic West—to excoriate Soviet Communism. “Freedom has many difficulties and democracy is not perfect,” he said, “but we have never had to put a wall up to keep our people in." Kennedy also believed strongly in the use of American “soft power,” and created the Peace Corps, an international volunteer program that sends Americans into underdeveloped nations to promote education, agriculture, health care, and other initiatives. Worried about the influence of communism in South America, he also launched the Alliance for Progress to promote economic development, trade, and human rights. “Let us once again awaken our American revolution,” he said, “until it guides the struggles of people everywhere—not with an imperialism of force or fear but the rule of courage and freedom and hope for the future of man.” Though JFK was felled by an assassin’s bullet in November of 1963, much of his democratic idealism continues to inspire the Party faithful. Barely three months after Ronald Reagan took office as president in January of 1980, he was shot by a would-be assassin outside the Washington Hilton Hotel in Washington, D.C. The bullet pierced his lung, missing his heart by less than an inch. While in the operating room, Reagan quipped to his surgeons: “I hope you’re all Republicans.” One of them replied: “Today, Mr. President, we’re all Republicans.” This was Reagan in character—a leader who not only possessed a core set of political beliefs, but also a sense of decency and humor that disarmed his critics. It is easy to forget, though, how deeply unpopular Reagan was among the liberal establishment of his day, at home and abroad. His tax cuts and “supply side” economics incensed defenders of big-government and an ever-expanding welfare state. His support for democracy movements worldwide unleashed the scorn of the political left. His description of the Soviet Union as “an evil empire” was denounced as “crude” and “moralistic.” His massive military build-up stoked fears of a nuclear conflagration. In each case, the force of elite opinion—and the drift of recent history—was against him. “What I am describing now,” he told Britain’s House of Commons, “is a plan and a hope for the long term—the march of freedom and democracy which will leave Marxism-Leninism on the ash heap of history as it has left other tyrannies which stifle the freedom and muzzle the self-expression of the people.” The speech got decidedly mixed reviews. Yet Ronald Reagan, the tenacious one-time lifeguard from Tampico, Illinois refused to back down. His tax cuts helped jump-start the American economy and create 20 million jobs. His moral assessment of the Soviet Union gave hope to thousands of dissidents. The deployment of Pershing II and Tomahawk missiles in Europe—amid fiery protests involving millions of people in capitals across the continent—checked the expansion of Soviet power. Meanwhile, Reagan’s commitment to a missile defense shield, dubbed “Star Wars,” helped drive the Soviet Union to economic ruin. Though alternately chided as a “warmonger,” a “washed-up actor,” or a “happy dunce,” Reagan advanced a foreign policy doctrine of confronting Soviet aggression that proved immensely prescient and effective. His approach to negotiations with Soviet leader Mikhail Gorbachev—“trust but verify”—reduced the risk of nuclear war by reducing the means of waging war. Reagan rejected the conventional wisdom that a nation’s behavior, and not its political ideology, mattered most. “Our military strength is a prerequisite to peace, but let it be clear we maintain this strength in the hope it will never be used,” he said, “for the ultimate determinant in the struggle that’s now going on in the world will not be bombs and rockets but a test of wills and ideas, a trial of spiritual resolve, the values we hold, the beliefs we cherish, the ideals to which we are dedicated.” Three years after Ronald Reagan left office, the collapse of the Soviet empire was complete. 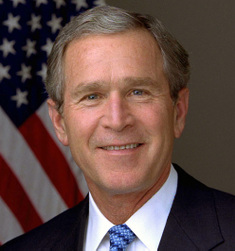 During the 2000 presidential campaign, Republican nominee George W. Bush criticized the foreign policy failures of the Clinton White House by declaring that his administration was not interested in “nation-building.” For the first eight months of his first term in office, Bush kept his promise. He launched an ambitious domestic agenda, including education reform and a massive tax cut. He created a “faith-based initiative” to forge partnerships between government and church-based charities helping the poor. With the end of the Cold War and shrinking U.S. military expenditures, president Bush advanced no bold, new vision for American leadership in the world. Then came the terrorist attacks of September 11, 2001, which killed 3,000 Americans, most of them civilians. Within weeks Bush ordered a U.S-led assault on Afghanistan, the safe harbor for the masterminds of 9/11. “In a second world war, we learned there is no isolation from evil,” Bush told the U.N. General Assembly. “We affirmed that some crimes are so terrible they offend humanity itself. And we resolved that the aggressions and ambitions of the wicked must be opposed early, decisively, and collectively, before they threaten us all. That evil has returned, and that cause is renewed.” In January of 2002, in his State of the Union address, Bush described an “axis of evil”—a nexus of rogue regimes, Islamic terrorists, and weapons of mass destruction—that threatened the foundations of civilization itself. “I will not wait on events while dangers gather. I will not stand by as peril draws closer and closer,” he said. “The United States of America will not permit the world’s most dangerous regimes to threaten us with the world’s most destructive weapons.” Thus the emergence of the Bush doctrine: The United States was engaged in a “war on terror” and must act “pre-emptively” to thwart a catastrophic terrorist attack on the United States. The new doctrine provided the major rationale for the U.S.-led war against Iraq in 2003. The failure to find weapons of mass destruction in Iraq, however, sparked the most acrimonious debate over U.S. foreign policy since the Vietnam war. The Bush doctrine also involves the promotion of democracy abroad, a staple of U.S. foreign policy since the beginning of the Cold War. Yet here as well the Bush doctrine has proved controversial. It is the Middle East, he insists, that most desperately needs democratizing. “Sixty years of Western nations excusing and accommodating the lack of freedom in the Middle East did nothing to make us safe,” he told a Washington audience in November of 2003. “As long as the Middle East remains a place where freedom does not flourish, it will remain a place of stagnation, resentment, and violence ready for export.” The Bush administration arguably has taken on the task of nation-building with a vengeance. This is true not only of America’s ongoing efforts in Afghanistan and Iraq, but also—perhaps most surprisingly—in Africa. Bush’s unprecedented $15 billion HIV/AIDS initiative targets mostly African states ravaged by the disease. In addition to his humanitarian argument for ramping up the U.S. commitment to fight the pandemic, Bush cites the problem of “failed states” as breeding grounds for terrorism. The impact of the Bush doctrine on international peace and security remains hotly debated. Nevertheless, the president’s AIDS initiative already is considered the most principled, generous, and strategic commitment to the African continent of any Western leader—and must surely figure into any estimation of his legacy. Fred Barnes, Rebel in Chief: Inside the Bold and Controversial Presidency of George W. Bush (Crown Forum, 2006). Richard Carwardine, Lincoln: A Life of Purpose and Power. Robert Dallek, An Unfinished Life: John F. Kennedy, 1917-1963 (New York: Back Bay Books, 2003). Dinesh D’Souza, Ronald Reagan: How An Ordinary Man Became An Extraordinary Leader (New York: The Free Press, 1997). Michael Gerson, Heroic Conservatism (New York: HarperOne, 2007). Doris Goodwin Kearns, Team of Rivals: The Political Genius of Abraham Lincoln. William J. Bennett, Our Sacred Honor (New York: Simon & Schuster, 1997), pp. 330-331. Allen C. Guelzo, Abraham Lincoln: Redeemer President (Grand Rapids, Mich.: William B. Eerdmans, 1999), p. 189. Gary Scott Smith, Faith and the Presidency: From George Washington to George W. Bush (Oxford: Oxford University Press, 2006), pp. 146-147, 154-155. Remarks by the President to the United Nations General Assembly, U.N. Headquarters, New York, November 10, 2001. Remarks by the President at the 20th Anniversary of the National Endowment for Democracy, United States Chamber of Commerce, Washington, D.C., November 6, 2003. This page of AmericaInTheWorld provides space for longer, more reflective essays than the homepage blog. The essays will usually be written by guest contributors.